First Look: CharlotteFive Went Behind the Scenes at Tompkins Hall! 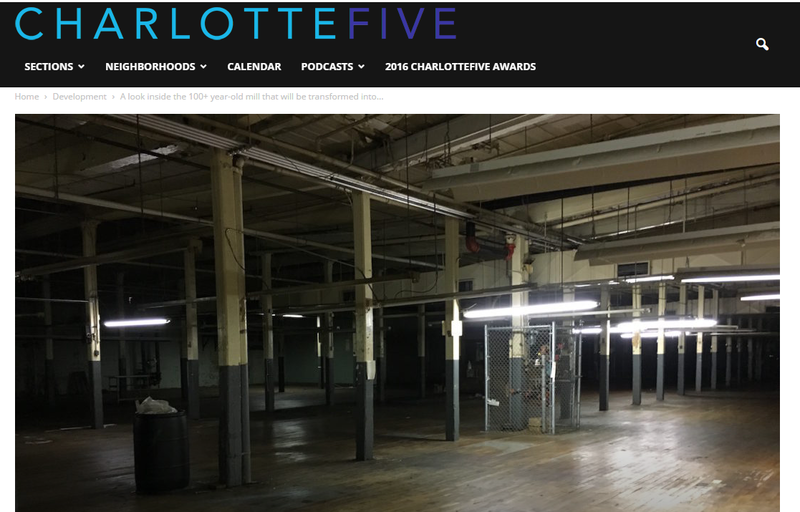 CharlotteFive, a leading digital outlet in Charlotte, NC recently went behind the scenes and explored the century-old mill that will undergo a transformation and open as Tompkins Hall in 2018. The look and feel of the historic mill will largely stay the same and will feature a food hall, ample restaurant and retail space, as well as 83,000 square feet of open office space. For more information + photos, click here. Stop By Underground This Sunday For a Free Bachata Dance Class! Become a part of our little black book. © 2019 360 Media. All Rights Reserved.